DxO has acquired the Nik Collection from Google and will continue to offer it for free until they make a new edition available in mid-2018. 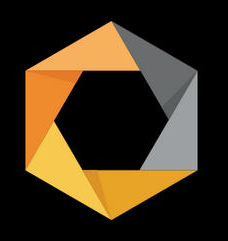 DxO, makers of PhotoLab, formerly OpticsPro, and other photo editing tools which are compatible with Adobe products, has purchased the Nik Collection from Google, one of the most widely used Adobe Photoshop plug-ins tools. DxO announced they will continue to offer the current version as a free download, for the time being. By mid-2018 DxO plans to offer a new version of the venerable software. Most likely the upgraded version, replacing the current version, once available next year, will not be free. According to reports, Mr. Meniere mentioned that they'd like to work with the Nik community to take the software in a direction that they'd like to see it go. That would certainly be welcome for current users and long time Nik enthusiasts. Please note that the mobile app, Snapseed, developed by Nik prior to its purchase by Google, isn't part of the purchase by DxO. It's not surprising that Snapseed isn't part of the purchase since it's been well known that Snapseed was the Nik product that drove Google's original purchase of Nik. DxO is already offering its updated OpticsPro product, renamed PhotoLab, containing Nik Software's U-Point® Technology. For now you can download the current Nik Collection for free at DxO's dedicated Nik Website. You can view DxO's full press release about the Nik Collection purchase. DxO has been producing excellent photo editing products for many years. Much of the professional and amateur photography communities are hoping they bring the quality of their current products to the Nik Collection upgrade next year. Wow...great news. I use Nik all the time. Fabulous. I was worried that by next year Nik wouldn't work with Adobe CC. Excellent news Ned, thanks for the scoop! Looking forward to finally get an upgraded Nik Collection next year. Thanks for the report.